I know what you're thinking when you saw the title for this week's Horror Histories column. "Seriously? 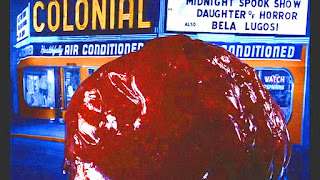 There was an inspiration for The Blob that involved the Philadelphia police force?" Well, to put it bluntly, "Yes." 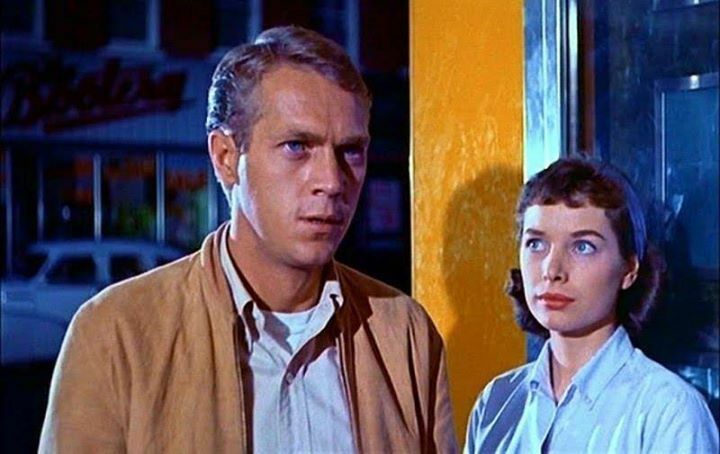 For those that don't know, The Blob (1958) stars a young Steve McQueen who must lead the charge to stop an alien invader unlike anything we ever expected. It's a blob of matter that consumes all living things in its path. As it eats, it grows and if not stopped, it will devour the planet. A 'B' movie in almost every aspect, it's considered a classic today thanks to tense storytelling and great performances. 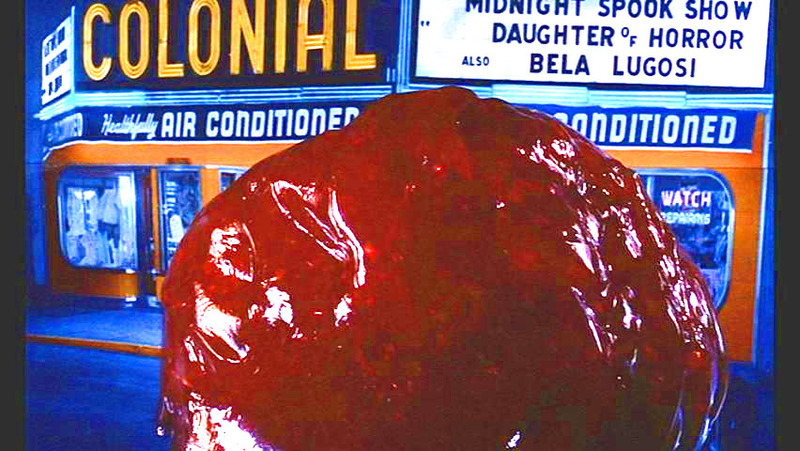 The film starts with a meteor plunging to Earth. It's found by a local man who tries to pull it out of its small crater. 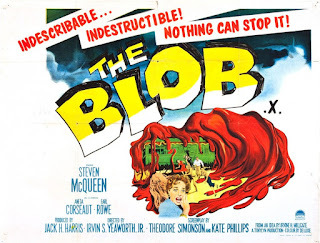 When he does, it cracks open and the blob attaches itself to his hand and begins to eats him. 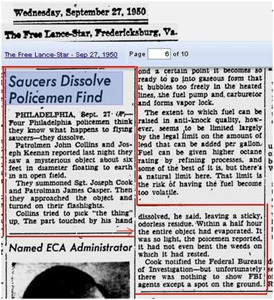 Eight years prior, a real life incident where a man stuck his hand into a blob of purple jelly from space actually happened. In 1950, two Philadelphia police officers saw something they said looked like a parachute falling from the sky. They drove to the area where it landed and found a purple jelly-like substance about six feet in diameter covering the ground. They reported that it gave off a strange mist. That's when one of them did the unthinkable and stuck his hand in it. He said it left a sticky residue but otherwise caused him no harm. Since they realized what they were going to have to report made them sound crazy, they radioed for backup. Two more officers arrived and also witnessed the jelly though it had begun to disappear. The FBI was also called but by the time they got there, the substance had dissolved completely into the ground. The officers filed a report and it was picked up by local and then national newspapers. Most treated it as a joke and even though the incident was referred up to the Air Force to investigate, they politely declined. The whole incident stuck in the mind of Irvine H. Millgate and years later when he was trying to come up with a good story for a low budget science fiction movie, he used it as a jumping off point. To date, no one knows for sure what the substance was that the officers found. Pretty creepy, huh? Well, if you're looking for more creepy stuff, head on over to my Amazon Author's page. You'll certainly find something there. Okay, let’s switch gears here. 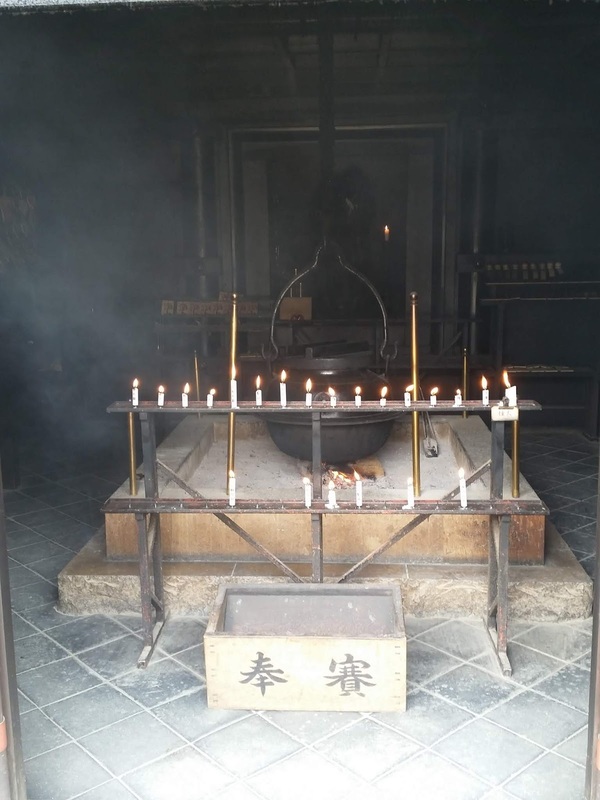 We started out with a shrine to a water monster, then went to a shrine with a 1,200 year old flame. This week we’re going to party, but we’re going to do it like no party you’ve likely ever been to before, because Asakusa Shrine is host to one of the biggest Shinto festivals in Japan. In fact, it’s estimated that between 1.5 and 2 million visitors attend it every year. It’s called Sanja Matsuri (“Three Shrine Festival”) and we’ve made it a point to be there two years in a row. It’s three days long and is in honor of three men. 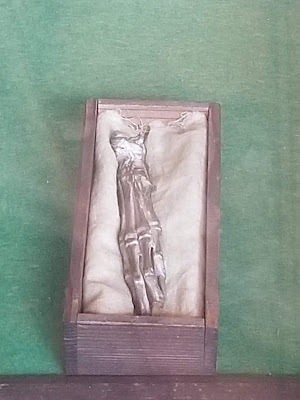 Two were fishermen and one day, they caught a Buddhist statuette in their nets. A third man heard about it and when he spoke to the brothers about what they caught, they converted from Shinto and dedicated their lives to Buddhism. All three went on to become highly regarded and so they are celebrated each year. In last week’s post, I mentioned that the Japanese tend to blend both Buddhism and Shinto together and this festival is a perfect example of that. The main temple that the festival occupies is Buddhist and named Senso-Ji , however the festival itself is Shinto in nature. It revolves around three mikoshi that make their appearance on the final day. 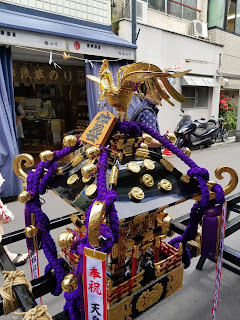 A mikoshi is a portable Shinto shrine that is built to house a spirit or diety. 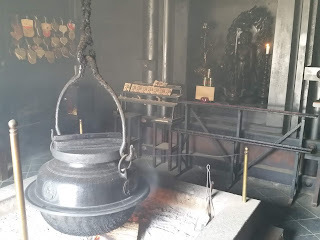 It’s generally used to house the spirit while it’s moved from one location to another, like from a main temple to a temporary location and back again. 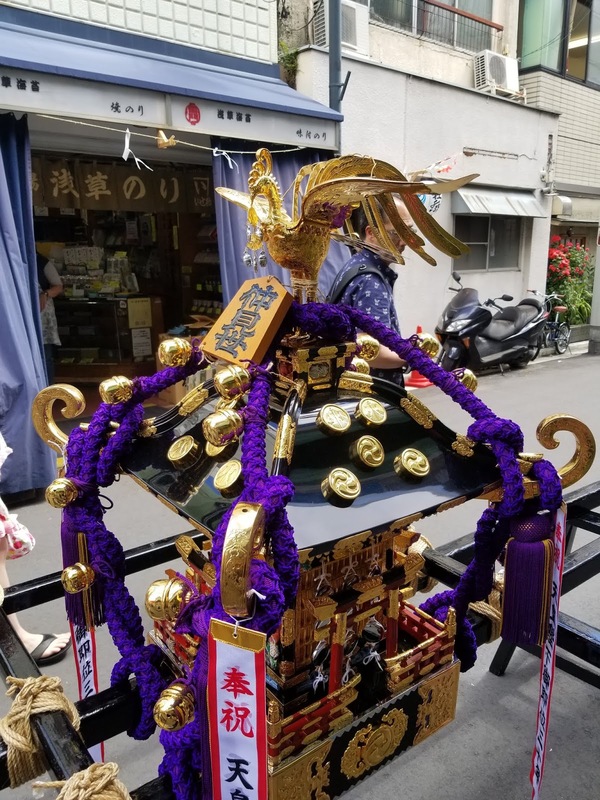 For the Sanja Matsuri though, the three spirits are put into the mikoshi by a Shinto priest and then given a grand parade around Asakusa! The mikoshi are carried through the streets while huge crowds follow. It actually all starts on Friday with a gigantic parade. It features dancers, musicians, performers and city officials. Later that evening six smaller mikoshi representing the central neighborhoods in Asakusa begin their trek around the city. It takes anywhere from 12 – 15 people to carry one of these and they carry them for blocks, bouncing, and chanting along the way. This is a small taste of what’s to come. The following day, over 100 mikoshi from all 44 districts of Asakusa are paraded around the area, again each carried by 12 – 15 people. The picture above is of a small mikoshi that's actually pulled by children. This was the atmosphere the day we stumbled on the festival. We’d taken a bus tour of major sites and it had been informative but overall underwhelming. Our tour was supposed to allow us to visit the temple itself but the festival was so huge that our guide recommended everyone just rush up, look and come back to the bus. For the record, we highly recommend ditching tours if you see something really cool. It will almost always result in a great story at the very least. That day was no exception. We had basically crashed a gigantic party and had no idea what we were seeing. As we joined in, locals were more than happy to help us understand what was going on. We learned how to get our fortunes by shaking numbered sticks out of a container and then pulling the paper fortune from the correct drawer. We also learned that when you get a bad fortune, you tie it to the rack nearby so that you can leave it behind you. For the record, my fortune actually told me to "go back to your homeland". I tied mine to the rack and ignored the advice. 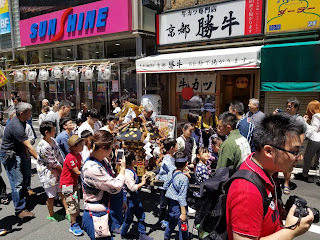 We followed the mikoshi around and were just awed and overwhelmed by the amount of people who all seemed to be having a genuinely great time. It left a huge impression! That's why this year, we made it a point to be here on the last day. 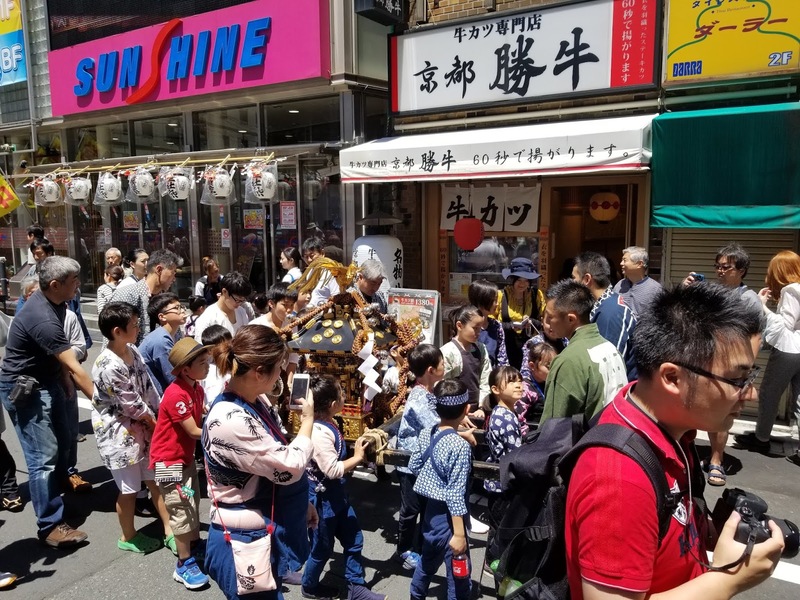 The final day of the festival, the three main mikoshi housing the spirits of the men being celebrated are paraded through the streets. They are decorated with gold sculptures and cost in the neighborhood of $400,000 each. They also each weigh around a ton and it takes 40 people to carry one. Once they've made their way completely through the streets, they're brought back to the temple and the spirits are transferred back to their usual homes. 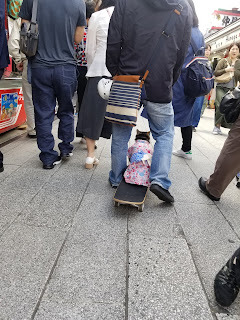 Yes, that's a cat in a kimono being pulled along on a skateboard. I can't tell you how awesome the people watching is at this festival! 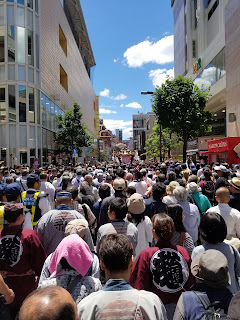 We also encountered a number of people who started up conversations in English, asking whether we had come specifically for Sanja Matsuri or if we had just stumbled on it. When we told them we'd planned our trip around the party, they were very enthusiastic and excited. In other words, we made a lot of new friends and that's the best part about travel. There are tons of food stalls, kids games, and sights to see. There’s also lots of Taiko drumming and music, plus generally everyone is in a great mood. It’s a big party after all! Crab on a stick anyone? They offered three sauces and I can vouch for the spicy one. It was fantastic! How about the Japanese version of the kids rubber duck/fishing game? Whatever you scoop into the bowl, you get to keep. 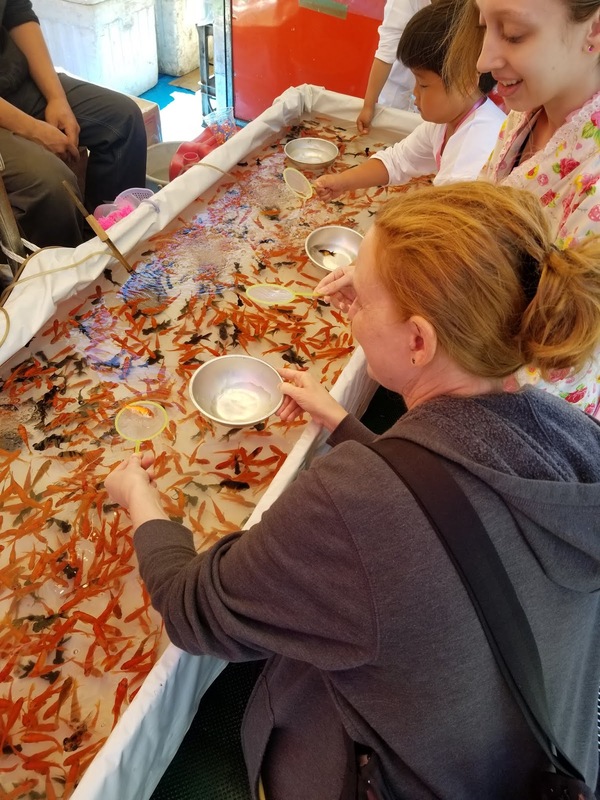 If you don't want the crab, noodles, omelets or fries/chips, there are plenty of sweets around, including chocolate covered bananas, cookies, sugary drinks and even ice cream. And don't pass up the chance to try to catch a goldfish on a piece of rice paper. It's a traditional game that's much harder than it looks. Another thing of interest to anyone who is on the fence about going is that at this festival, Yakuza members are very open about showing their tattoos. So if you have even a remote curiosity about what someone in the Yakuza may actually look like, here’s your chance to see them without being on their bad side. 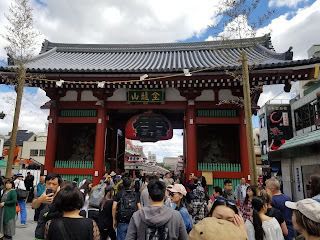 If you’d like to attend yourself, the festival takes place the third weekend of May each year and it’s within a few hundred feet of the Asakusa subway stop. Seriously, if you ever get the chance, don’t miss it! And if you’re looking for something to read on your trip there, pick up something from my Amazon Author’s page. If you’ve already read those, that’s fine. There’s more coming soon! If you really think about all of the horror monster icons to come out of the 1980’s and 90’s, there may be none more original than Freddy Krueger (sorry Hellraiser fans). Even those of you who aren’t horror fans know who I’m talking about. The guy with the scarred face, striped sweater and knife fingers. He was truly an original who came along at a time when the other “monsters” on the screen were one dimensional slashers like Jason from Friday the 13th. 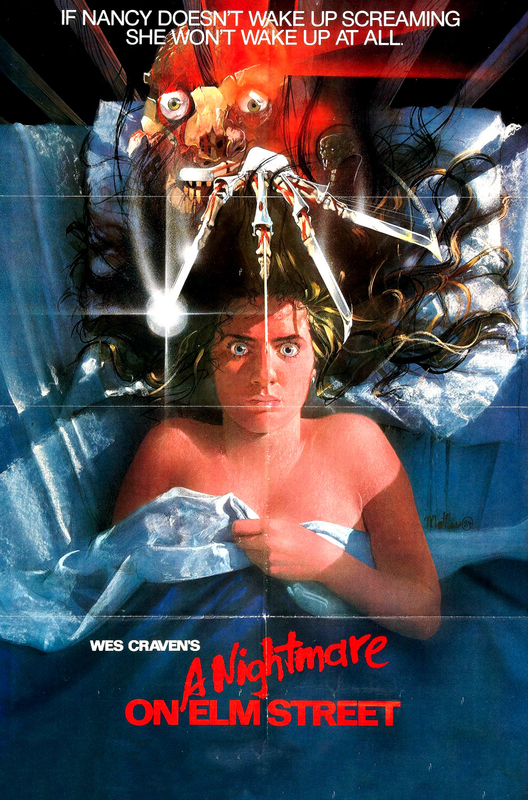 Wes Craven, the man who wrote and directed the original A Nightmare on Elm Street, recently gave a series of lengthy interviews to Vulture that detailed the making of the film. In it, he discussed where the idea came from and it’s a truly haunting and horrible story. To tell it, we first have to visit Cambodia and talk about the Khmer Rouge regime. 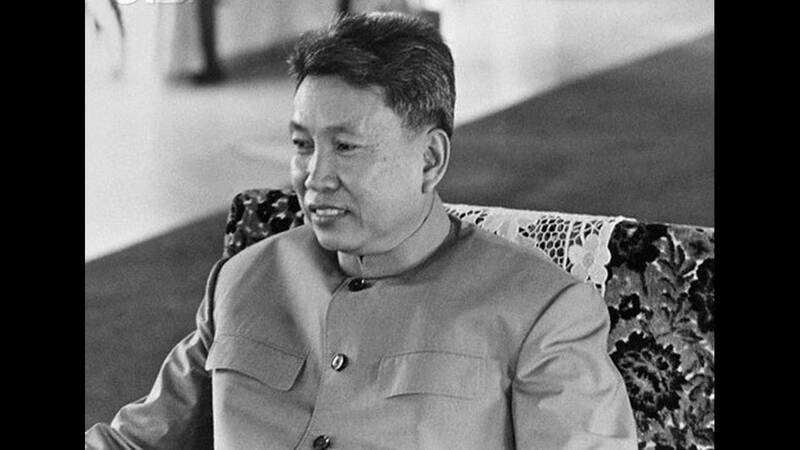 In the 1970’s, the Khmer Rouge took over Cambodia. 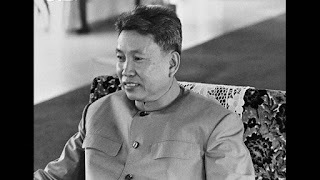 Their leader, Pol Pot, ordered a systematic genocide to wipe out any and all opposition to their goal of creating a socialist country, focused on agriculture and keeping to the ideals of Lenin, Marx and Mao. They forced people out of the cities and into the country, making them work in labor camps. 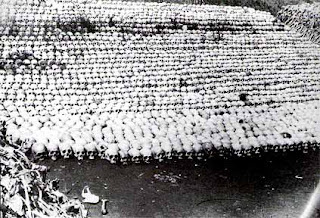 They arrested intellectuals, ethnic Thai, Vietnamese and Thai people as well as Christians and Buddhist monks and murdered them, creating mass graves that became known as Cambodian Killing Fields. 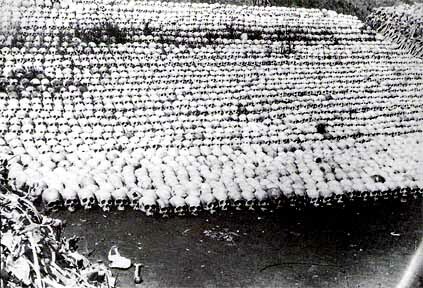 All told, it’s estimated that 1.7 to 2.5 million people were executed. That’s almost 25 percent of Cambodia’s entire population at the time. It was absolutely horrible but some people managed to escape it. One family who made it to the United States unwittingly became the inspiration behind Wes Craven’s story. After settling in the U.S., most of the family was able to begin moving on from the nightmare they’d just left behind. However one of the younger boys couldn’t. He began having nightmares where he described a monster who hunted him in his dreams. 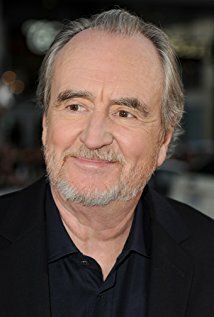 Instead of me telling you what comes next, how about we let Wes Craven tell it himself. “He told his parents he was afraid that if he slept, the thing chasing him would get him, so he tried to stay awake for days at a time. When he finally fell asleep, his parents thought this crisis was over. Then they heard screams in the middle of the night. By the time they got to him, he was dead. He died in the middle of a nightmare. Here was a youngster having a vision of a horror that everyone older was denying. 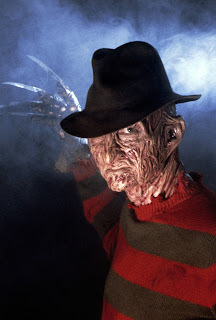 That became the central line of Nightmare on Elm Street." The story of the boy dying in his sleep actually made the L.A. Times which is where Craven came across it. It stuck in his head and Freddy Krueger was soon born. If you haven’t seen A Nightmare on Elm Street or just haven’t seen it in a while, you should check it out. It’s aged very well and the paranoia and fear of falling asleep are palpable. In it, Krueger is a frightening madman, not the wisecracking villain of the sequels. While you’re at it, why not pick up a good horror novel. The Wash, by yours truly, has its fair share of scares as well. 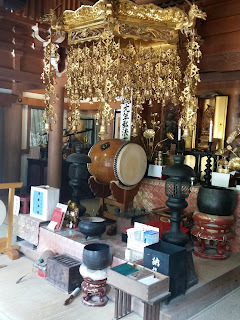 So last week I showed you my visit to the Kappa-dera Temple in Kappabashi. It’s definitely a unique place, but this next one is also pretty great and it’s in a location that’s one of the most beautiful in Japan. I’m talking about Daisho-in, a temple on the island of Itsukushima. 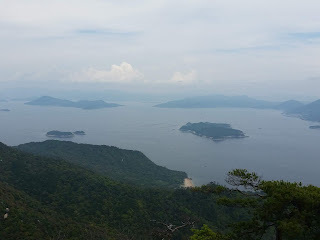 The island sits about 30 minutes outside of Hiroshima. 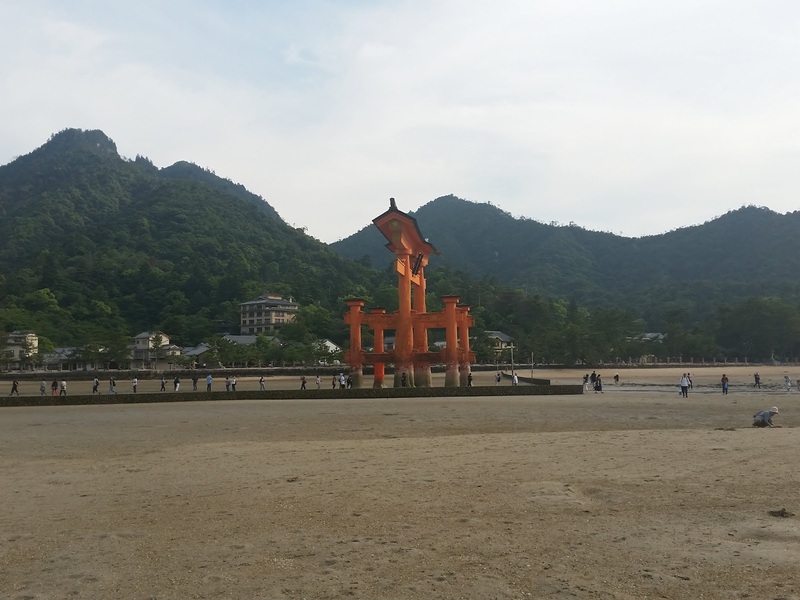 Most people come to the island to visit the city of Miyajima and the famous floating torii that sits in its bay. I’m going to cover Miyajima on its own in another post later on, so for now, let’s focus on Daisho-in. 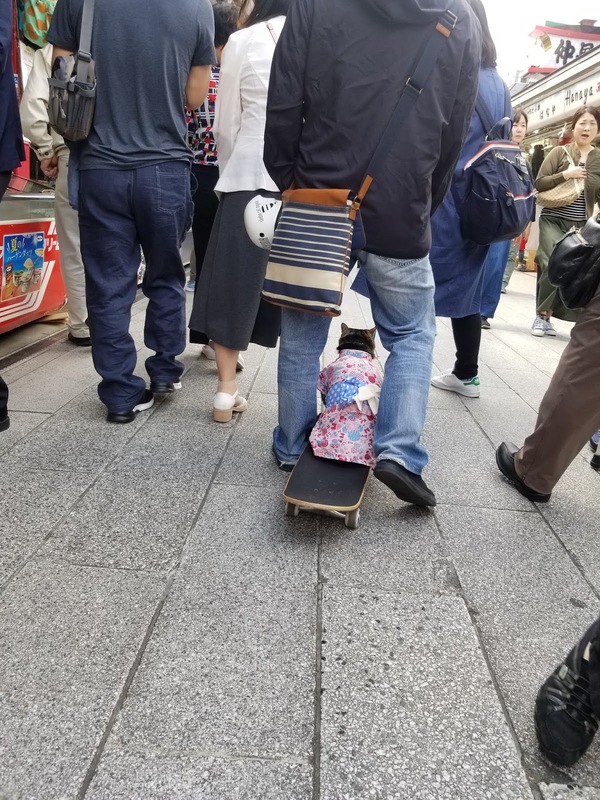 Before I go further though I need to take a moment to discuss the unique combination of religions that most Japanese people practice in everyday life. The religion indigenous to Japan is Shinto, which at its core is focused on nature, balance and the idea that the spirit of everything is interconnected. Buddhism came to Japan and once it got popular, there were efforts by the Japanese government to drive it out or at least repress it. The result ended up being a blending of the two religions. Right next to almost any Buddhist temple you visit in Japan, you'll find a Shinto shrine. Many people will worship at both at different times. Shinto's afterlife is basically similar to Hades from Greek mythology. 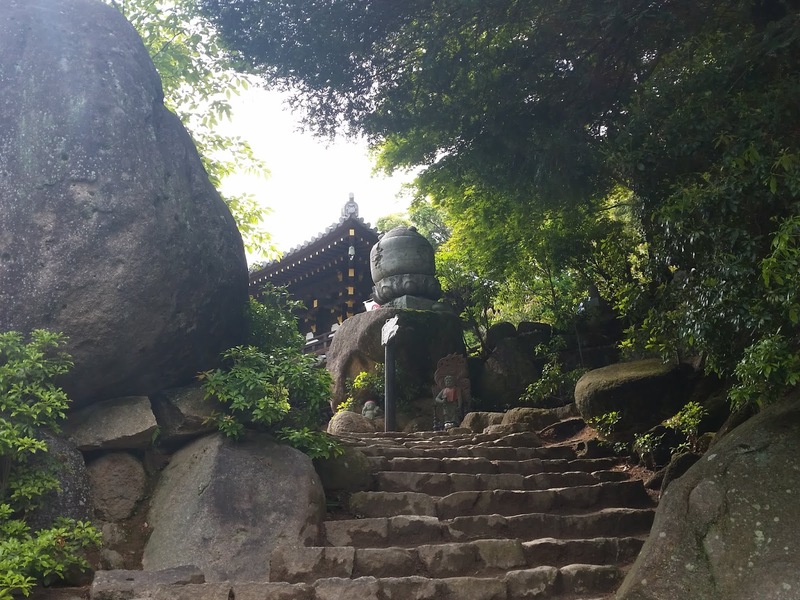 A tour guide once told me that the best way to explain why the Japanese tend to blend the two is to say that Buddhism offered "heaven" but didn't necessarily disregard all of the other Shinto beliefs, so people took what they wanted from both. Heading up to the peak of Mt. Misen, you'll see a number of temples and shrines from both religions. They tend to dot different places along the path. 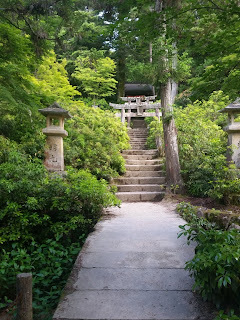 The first real step up to Daisho-in is easy if you don't mind heights. 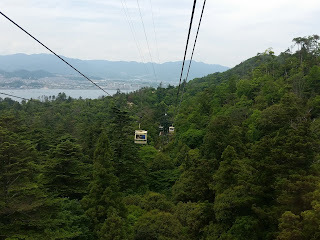 You can take a sky ride up to the first peak on the island which cuts a very large swath of literal mountain climbing out of the hike. From that point, there is no other way forward but to walk. It's a long trek downhill and then back uphill again to an adjoining peak. My wife and daughter bowed out along the way and told me they’d meet me back by the sky ride. I’m going to try not to over or understate the climb. It’s doable for anyone who's able-bodied. I had the wrong shoes and shirt on and was at least fifty pounds overweight at the time, but I made it. Take your time and you’ll be fine. Along the way, you’ll be treated to some spectacular views of the inland sea area of Japan. Other than the paved path, everything around you is natural; no cars, no trains, no hustle and bustle of life at all. Aside from other hikers, it’s a pretty peaceful place. When you get close, you’ll be able to see the edge of the temple above you. It gave me a second wind at that point and I was up in no time. When you finally do reach the temple, don’t be surprised to find guys like this sitting around. It’s become a tradition for some travelers to leave sunglasses, hats, etc. on the statues here. The temple was founded on Mt. Misen in the year 806 A.D. The founder, a Buddhist monk named Kukai (or Kobo Daishi as he is now referred to after death). Kukai ventured to the island and after visiting the mountain decided to establish the temple and perform 100 days of “Kokuzou-Gumonji”. 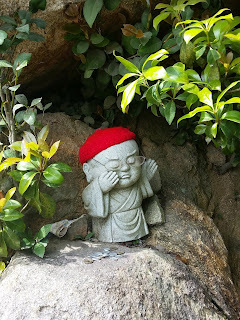 That is a secret doctrine in Japanese Buddhism and once he was finished, he began what would become a school of Buddhism that survives in Japan to this day. 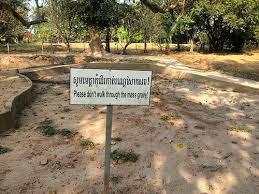 It’s called Shingon Buddhism and it translates into “True Words”. During the time that Kukai was performing his 100 day ritual, he lit a fire. That same fire has been kept burning ever since. If you’re counting, that’s over 1,200 years. You can walk right up to it and see it for yourself. 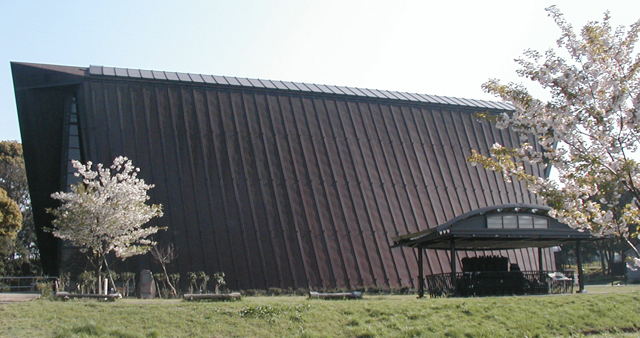 It’s housed in a building that’s called Reikado Hall (Eternal Fire Hall) and you can walk completely around it. The smoke is fragrant and not for anyone even remotely asthmatic, however the pot above it contains water that is said to have many healing properties. I didn’t try it out myself so I can't vouch for it, but seeing this place in person was pretty fantastic. An interesting side note, the eternal flame at the Hiroshima Atomic Bomb Memorial was lit from a torch ignited in this fire. Nearby is Misen Hondo Hall (Main Hall). This is the actual place where Kukai performed his 100 days of training all those years ago. Again, you can walk right up and into the structure. It houses some beautiful Buddhist statues and a small temple where you can pay your respects if you are so inclined. 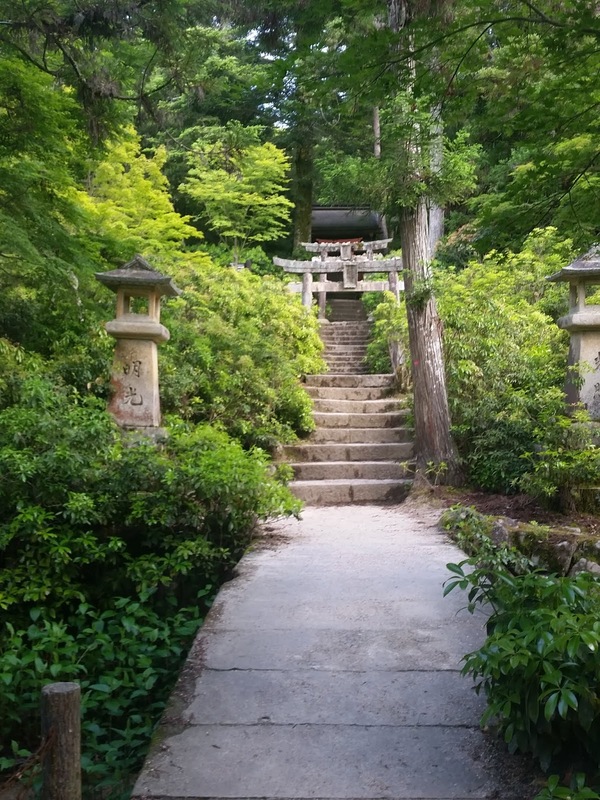 If you want to visit another shrine, this one dedicated to the gods who protect the mountain, you can visit Sankido Hall. 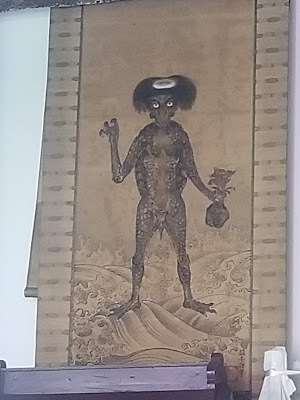 The main god is named Tsuichokijin and he is served by tengus which are long-nosed goblins from Japanese folklore. Tengus are some of my favorite creatures in Japanese mythology so this was a must see also, although I don't have any good pictures from it. In fact, from that point I turned around and headed back to my family, however you can go even further if you wish. There are even more shrines along the way to the peak on the island. Had I been on my own, I’d have spent the entire day visiting them. This is honestly one of the most beautiful settings I’ve ever been in, so don't miss the opportunity if you get to visit the area. Next week, we'll wrap up the look at shrines, but this one is less about the shrine and more about the GIGANTIC party thrown there once a year. Swing by next week to see what I'm talking about. Until then, visit my Amazon Author's page and I'll catch up with you next time! Horror Histories Vol. 6 - Ishiro Honda and Gojira! This week in Horror Histories, I want to tie in to the Japan series that I’ve just started running on Mondays. 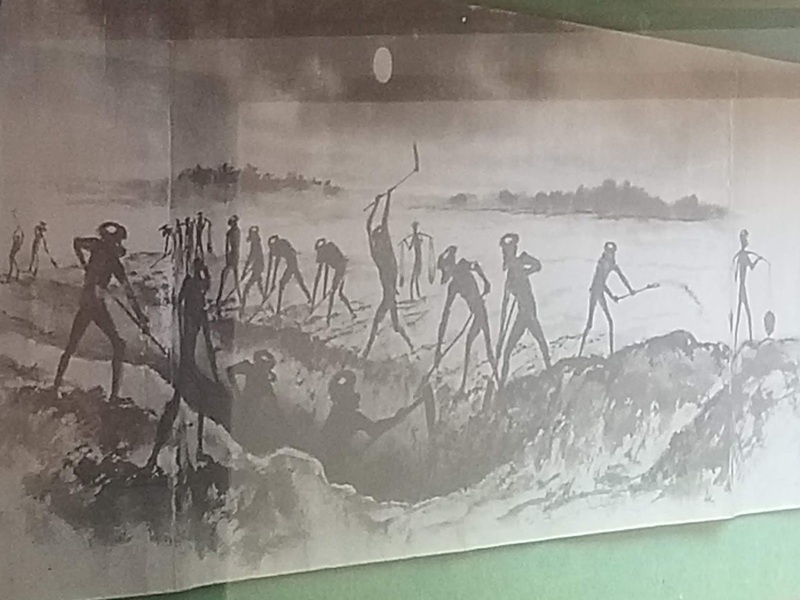 Today, you not only get a horror history, but you also get a real life site you can visit where the inspiration for this film is officially housed. Of course, I’m talking about Godzilla! 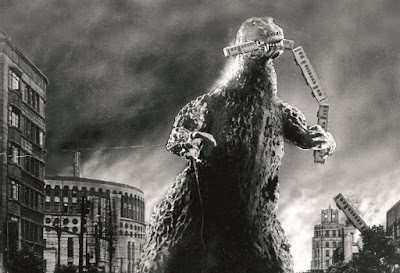 Now, the majority of people who are only casually acquainted with him, think of Godzilla as this jokey, rubber suited monster from the 1960’s and 70’s. If this is you, then you need to find and watch the original film, 1954’s Gojira. It’s a dark, vicious film by Ishiro Honda that conveys the horror of the atomic bomb explosion on Hiroshima by introducing a new threat. Gojira (or Godzilla, as he was renamed when the film was released to American audiences) is an unrelenting, unstoppable force bent on destruction. The film is a very serious affair with a dark ending that is light years away from the more hokey (but still great) Godzilla films that came after it. So, aside from Hiroshima itself, what was the inspiration behind one of the most beloved creations in cinematic history? In part, it was a fishing boat. 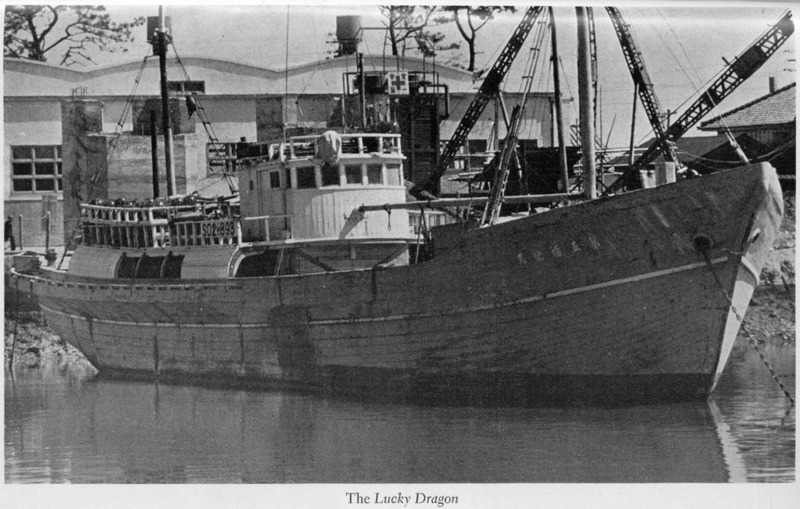 The Daigo Fukuryū Maru (Lucky Dragon 5) was sailing out of Yaizu and contrary to their name, they’d had incredibly bad luck. They’d lost half their lines on coral reefs, the engine kept going out and they hadn’t caught nearly what they anticipated. Their captain was not very experienced and this only added to the issues. Since they didn't want to go back without a full boat, they made the decision to go out further into the Pacific to try to salvage the trip. It's not clear why, but somehow they managed to miss a number of transmissions that were sent out warning ships to stay out of one particular area. Of course it was exactly the area they were headed for. 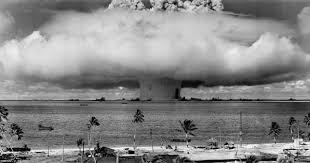 On March 1, the U.S. government detonated its first dry fuel Hydrogen bomb on the Bikini Atoll. The Daigo Fukuryū Maru was on the cusp of the area that had been declared forbidden. However, the explosion ended up being much more powerful than anyone had anticipated. The crewmembers had to have seen it, however it didn’t alarm them. They continued to fish and as ash rained down on them, they ignored it. By that night, the radiation poisoning had already begun. Crewmembers developed burns, bleeding and swelling. They made it back to Tokyo to seek help and yet somehow, even with the entire crew dying, the fish they caught managed to make it to market. Once that fact was discovered, the government took action to recall it all but at least two people actually purchased it. 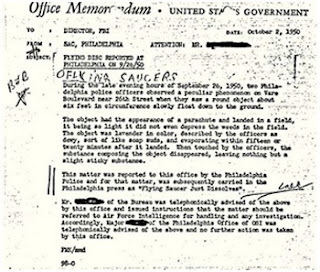 Since this happened long before the computer sales tracking information we have now, those people were never identified and it's presumed that they actually ate the fish. 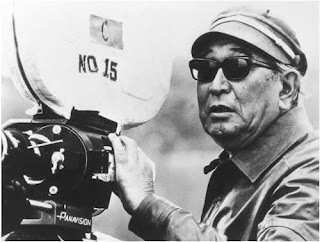 Ishiro Honda, a Japanese writer and director, was very acquainted with the atomic bomb. He’d made a trip down to Hiroshima to see the devastation first hand back when the U.S. dropped the bomb on Japan. He knew the horror and when this incident happened, he decided to make a movie that would protest atomic testing and nuclear war without doing so overtly. Gojira, the giant animal, takes the place of the bomb itself. Every rampage the beast goes on leaves devastation in its tracks similar to that of the explosion in Hiroshima itself, but there's actually something even more telling in the film that shows you that the Daigo Fukuryū Maru was in the forefront of Honda's mind. In the opening scenes of Gojira, a small fishing vessel is the first to fall victim to the beast. The boat is prominently named “No. 5”. Additionally, the radio operator dies horribly at Gojira’s hands. This spoke to Japanese audiences as the radio operator on the Daigo Fukuryū Maru was the only crewmember to die of radiation poisoning. 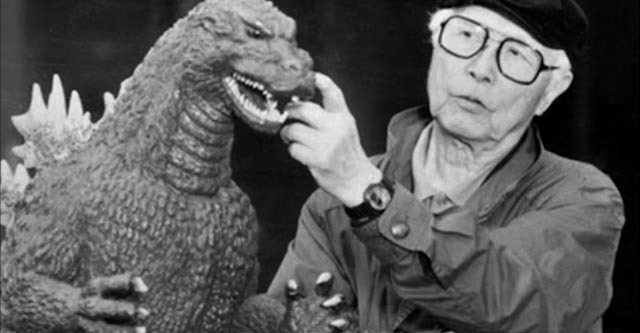 While practically no one in America would get the reference, Honda made sure that Japanese audiences understood what he was trying to say: The scariest thing about Gojira was not the giant monster but the irresponsible way the world was pursuing atomic weapons of war. Normally, the column would end here, but this is where we tie into the sight-seeing portion of this story. 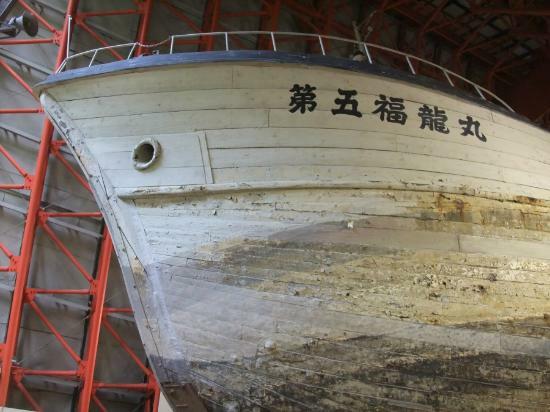 If you are in Tokyo and want to visit the actual Daigo Fukuryū Maru, you can do so. The boat is housed in a museum in Yumenoshima Park (Dream Island). It’s a small museum and most of the exhibit is in Japanese however some English signs are available and give the story of the boat and what befell its crew. It’s about a 30 minute train ride from Akihabara (where we generally stay). Admission is free and the museum is open from 9:30 – 4:00 every day but Monday. Speaking of Monday's, check back in next week for a less sobering look at Japan. 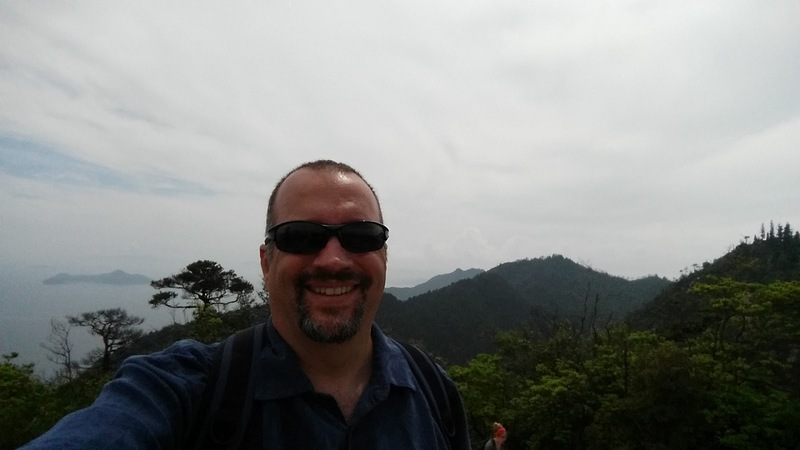 I'll be showing you a temple on an island mountain where a flame has been burning for 1,200 years. It's going to be epic! 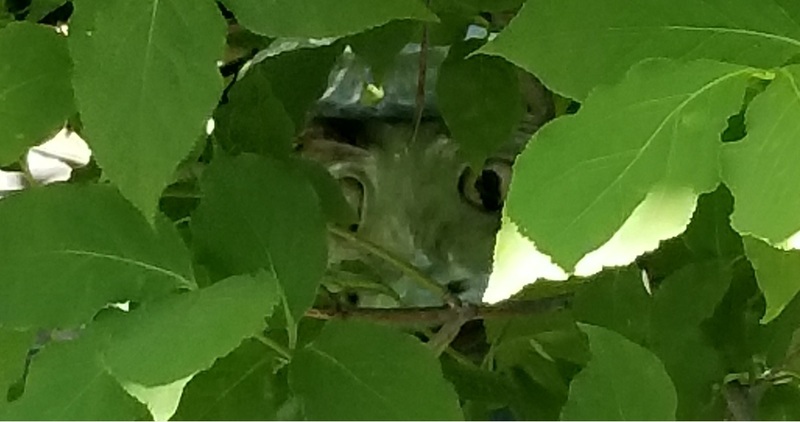 And if you like monsters and want more of them, then check out my Amazon Author's Page. There's plenty there that should scratch your itch. I’d be lying if I said I had a clear direction on how to take this blog of the weird and wonderful and go wider with it. The fact is, I originally planned eight posts about Southern California but the reaction was so positive that I’ve continued. I don’t like to write about places I haven’t actually visited and we have quite a few local places that we haven’t made it to yet. So, since I need time to recharge the SoCal weirdness batteries, I thought this was the perfect time to broaden the scope a bit. It just so happens that my family and I love to seek out weird stops whenever and wherever we go on a vacation and this past year, we’ve somehow managed to spend almost a month in Japan between two awesome trips. I’m not an expert on the country or the culture and I don’t claim to be. In the coming weeks/months on this blog, if I type something incorrect and you see it, please call me out on it and I’ll correct it. That said, who wants to visit a shrine dedicated to a water monster that drowns kids? That doesn't interest you, huh? Okay, does it make it better if they have mummified remains of one of the creatures on display? Hell yes, it does! Alright! Let's go! 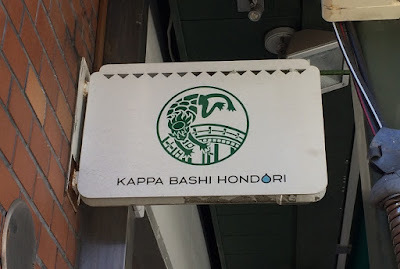 In Tokyo, there is a neighborhood called Kappabashi. The name translates into “kappa’s bridge”. Who or what is a kappa, you ask? Well, in Japanese folklore, the kappa is a water monster, but think of it more like a troll or goblin. They lie in wait near bridges or bogs and when an unsuspecting victim comes along, they grab them and drag them down into the murky depths. They tend to prey on children more than adults so kids, beware! The kappa looks like a turtle and walks on two legs. It has a small bowl-shaped indentation on its head that has to have water in it at all times or the creature can’t breathe. If you encounter a kappa, you simply need to bow deeply in greeting. Apparently, the creature obeys basic etiquette, as it will bow in return and spill the water from the bowl, forcing the creature to return from where it came. So why would a town name themselves after a horrible monster who preys on children? It’s a convoluted story that involves flooding and a raincoat merchant named Kihachi Kappaya. In the 1800’s, the area had been so prone to floods that many adults and children who lived there lost their lives. Some of the locals blamed the kappa. After years of this, Kappaya the raincoat guy, came up with a plan to reduce the amount of flooding by creating a system of embankments and providing elevated bridges and paths for people. He invested his own money into the project and it was a success. 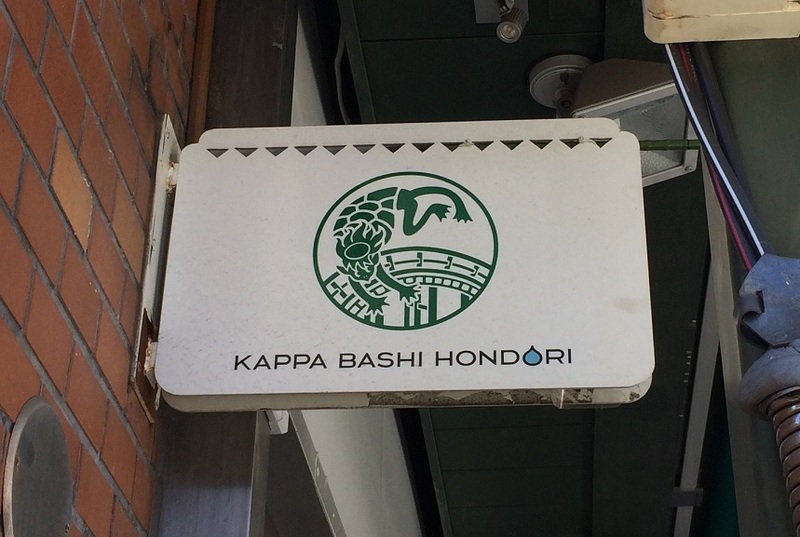 The bridge and town were named after him as much as the kappa legend itself. In fact, there is a version of the tale that says Kappaya was assisted in creating his vision by a kappa water monster that just wanted its kind to be left in peace instead of being intruded upon by humans. Fast forward to present day and the temple originally built to appease the kappa is still there. It's well attended and offerings to the beast abound. The place is called Kappa-dera (also Sogen Temple or Sogen-ji). It’s a Buddhist temple, but it is definitely named after the kappa water creature, not Kappaya the raincoat seller. You see, as you walk from Asakusa station to Kappabashi, you’ll gradually start to see kappa statues and images everywhere. They’re in store windows, on street corners and signs. Some are cute, others sinister. Even the manhole and water meter covers have kappa related artwork on them. The temple itself is very small and it’s easy to miss it if you don’t have it plugged into the phone map. 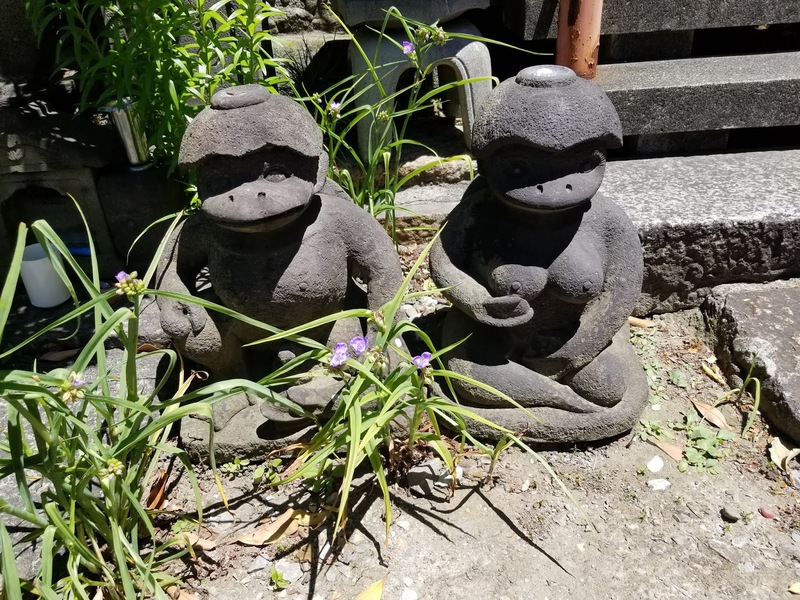 Outside, there are small stone statues of kappa and people will leave coins in the indentations on their heads as well as cucumbers (which are rumored to be its favorite food). The real treat here though is in the temple itself. At the top of the stairs, you’ll find a small offering box and a room full of kappa related pieces. One of those pieces is a real draw for monster lovers like myself. In the picture above, you’re looking at a mummified kappa's hand and wrist that sits just inside the temple under a glass case. It's been in the temple for many, many years but I was never able to find exactly how long. The piece not very large (maybe eight inches long at most) and I can't tell you if it's really from some strange creature that man has driven out of existence. However, I can tell you that it's pretty cool to actually see it firsthand. This is something I'd heard about and seen small pieces of on sites like Atlas Obscura so actually being there was a treat! On the walls are ancient scrolls depicting kappas in much more wicked and terrifying guises than the ones sitting outside the shops. The centerpiece is this rather evil looking character who stares at you the whole time you take in the other parts of the temple. If you want to find this place for yourself, the best thing to do is plug it into your maps program on your phone. It’s about a ten minute walk from Asakusa station (that’s the way we approached it) but there are other train and subway lines that put you slightly closer. If you’d rather take a cab, you can certainly do that but I recommend walking it if possible. 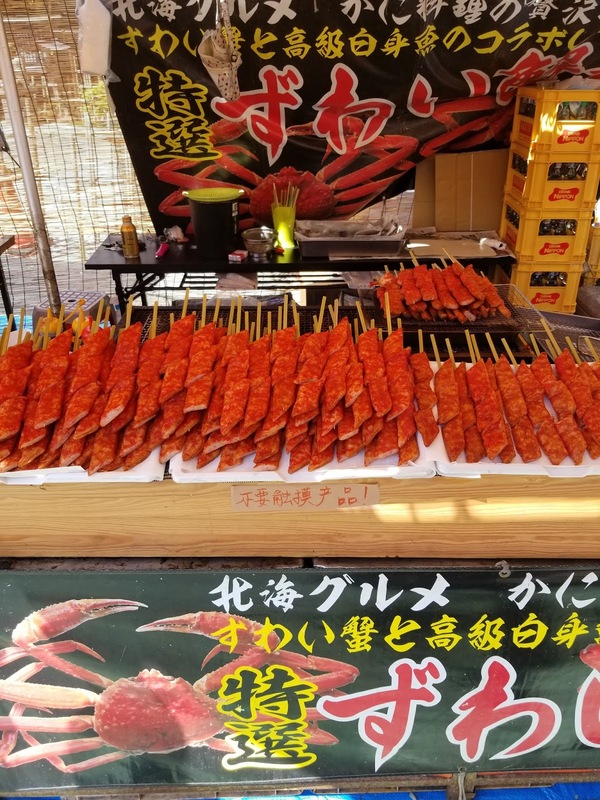 The journey will take you through Kappabashi which is much more of a normal Japanese city/suburb than some of the flashier neighborhoods that most people visit (like Shinjuku, Shibuya, etc.). You’ll pass a ton of tiny restaurants and shops where the locals are only too glad to have you stop in to grab a bite or a cold drink. Next week, we’ll stay in the vein of temples and I'll take you to one of the coolest places I've ever had the honor of visiting. We'll keep it a surprise for now. Also, if you’re looking to read about monsters, please pickup my book The Wash. I wouldn’t pitch it if I didn’t think you’d enjoy it and let’s face it, if you read all the way through this and are even remotely excited by the idea of a real monster’s arm in a temple then you’re going to like this book.